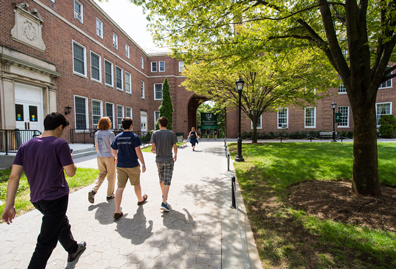 I joined Manhattan College as an assistant Professor of Finance in September 2012. I earned a Bachelor of Science from the Superior Institute of Management, Tunisia; a Master of Sciences in Financial Engineering from HEC Montreal, Canada, and a PhD in Finance from HEC Montreal. Human interaction with and within the financial field is the core of my research interests. While I am deeply fascinated by the application of Game Theory to bankruptcy cases, and how the changing US legal environment, including Chapter 11 laws, affect corporations as well as their stakeholders and stockholders, I am also interested in the new accounting disclosure laws that followed the 2008 financial crisis. As the pace of amendments to government regulations increased, I recognized more overlap with other scholarly fields, specifically management and economics. My papers were presented at numerous prestigious national and international conferences, and published in the Journal of Economic Dynamic and Control and the European Journal of Operational Research. Annabi, A., Gonzàlez, J. M., & Mϋller, F. (2018). What Determines Financial Knowledge among College Students? Forthcoming in the Journal of Financial Education. Annabi A., & Reuben, A. K. (2017). Banks’ Asset and Liability Valuation in the New Regulatory Environment: A Game Theory Perspective. Journal of Banking Regulation, 18 (4), 302-309. Annabi A., Breton, M., & François P. (2012). Resolution of Financial Distress under Chapter 11. Journal of Economic Dynamics and Control, 36 (12), 1867-1887. Annabi A., Breton, M., & François P. (2012). Game Theoretic Analysis of Negotiation under Bankruptcy. European Journal of Operational Research, 221 (3), 603-613. Annabi A., Breton, M., & Francois, P. (2018). Could Chapter 11 Redeem Itself? Wealth and Welfare Effects of the Redemption Option. Featured in the peer-reviewed Oxford Business Law Blog. Annabi A., & Reuben A. K. (2018). On the post-crisis banks’ fair value measurement disclosure. Ammar, S., Annabi, A., & Wright, R. (2018). Stock Risk Assessment using a Dividend Discount Simulation Model. Annabi, A. (2018). Use it or Lose it: How to Implement Bloomberg in Teaching Derivatives. Annabi, A., Farrelly Lowry, A., Khoury, J., & Reesor, A. (2017). 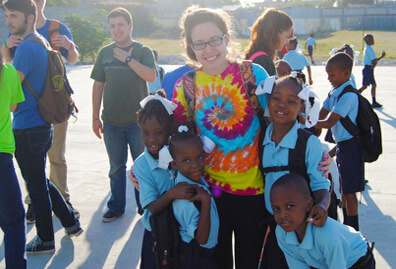 Financial Literacy: A Comparative Study Between the Bronx and the West Bank. Bloomberg workshop, Brooklyn College, NY, 2018. Bloomberg for Education Symposium, Bloomberg headquarters, NY, 2018. 2017 National Conference on Teaching and Research on Economic Education (CTREE), Denver, Colorado, 2017. Portsmouth-Fordham Conference on Banking & Finance, Portsmouth Business School, UK, 2016. 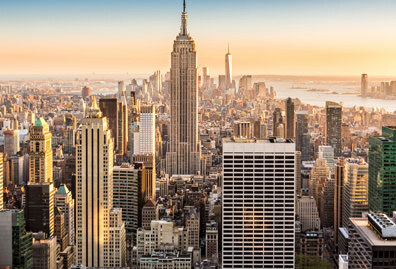 2016 New York City International Academic Conference on Business & Economics, NYU, NY, 2016. 34th International Business Research Conference, Imperial College, London, UK, 2016. Annual Paris Economics, Finance and Business Conference, Paris, France, 2016. Dubai 21st International Conference on Business, Economics, Social Science & Humanities- BESSH-2016, Dubai, UAE, 2016. Society for the Advancement of Socio-economics (SASE) Berkeley Conference. University of California, Berkeley, 2016.
Business Seminar, Queen’s College, Queens, NY, 2016. Seminar Series, Manhattan College, NY, 2015. Seminar Series, Manhattan College, NY, 2013. 2011 FMA Annual Meeting, Denver, CO, 2011. 11e Conférence annuelle : Les Journées du CIRPÉE, Bécancour, Canada, 2011.
International Symposium of Dynamic Games, Banff, Canada, 2010. 2nd Financial Risks International Forum on Risk Management & Financial Crisis, Paris, France, 2009. The Rimini Centre for Economic Analysis: Workshop on Dynamic Games in Economics, Rimini, Italy, 2008. 2008 FMA European Conference, Prague, Czech Republic, 2008. Seminar Series, Brock University, Canada. May 16 2008. 2007 FMA Annual Meeting, Orlando, FL, 2007. 2007 EFMA Annual Meeting, Vienna, Austria. June 27-30, 2007. Annual AFFI Conference, Hammamet, Tunisia, 2003. Annabi, A. (2018). Bloomberg User Manual: The Practical Reference to Using Bloomberg Software in Options and Futures Markets Course. Active member: 2005 – present. Attend and present research at national and international FMA conferences. Induct students during the Spring Honor Convocation and the School of Business Spring Honors Dinner. Manhattan College Chapter won the FMA NHS Special Recognition Membership Award for 2014-2015 and 2015-2016 academic years. 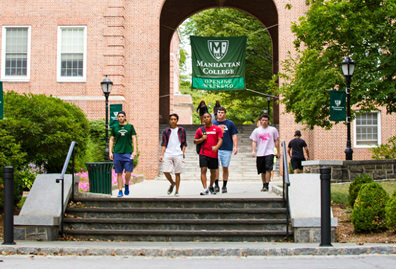 Overview: Originally called the IDEA (Individuals Doomed to Earn Affluence) Investment Club, the Manhattan College Investment Club (MCIC) started in 1998 by a group of students that saw an attractive opportunity to integrate real stock investing experience into the college's business curriculum. 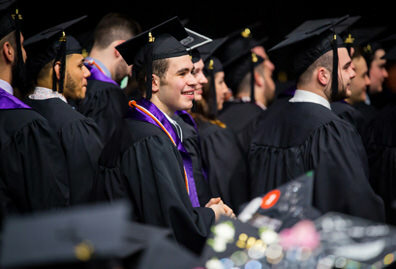 Today, MCIC has extended its reach well beyond the Manhattan College campus, with connections to many financial institutions and investment conventions in Manhattan, as well as many alumni who visit as guest speakers and recruit interns. MCIC has grown to be a great way to start career in the financial world. Best paper prize for journal award, International review of Business Research papers, April 2016. Awarded at the 34th International Business Research Conference. Imperial College, London, UK. Montreal Institute of Mathematical Finance (IFM2) Fellowship, 2004-2007. Awarded to top five Ph.D. students in Mathematical Finance in Montreal. Center for Research on E-Finance (CREF) Fellowship, 2004-2007. Awarded to selected Ph.D. students based on research and other academic qualifications. Tunisian Ministry of Education Ph.D. Scholarship, 2002-2005. National recognition awarded to top five Tunisian Ph.D. students in Finance. Natural Sciences and Engineering Research Council of Canada (NSERC) Fellowship, 2001-2002. Awarded to selected M.Sc. students based on research and other academic qualifications. Tunisian Ministry of Education M.Sc. Scholarship, 2001-2002. National recognition awarded to top 10 Tunisian M.Sc. students in Finance.